The railways has started public announcements for Kumbh Mela in Allahabad in six languages to benefit the non-Hindi speaking passengers which is likely to continue beyond March 4 when the mela ends, a senior railway official said Wednesday. The system, which runs on software specially designed for this purpose, auto-records an announcement, which is then translated by the specially developed software in six languages: English, Gujarati, Marathi, Kannad, Tamil, Malayalam. 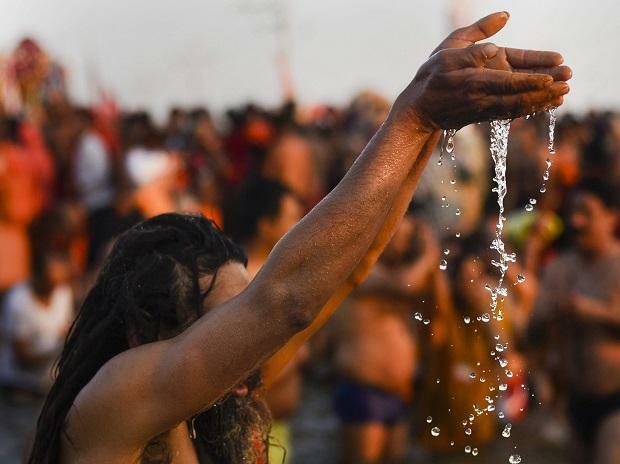 "We realized very early in our preparations for the Kumbh Mela that we would be needing such a multilingual announcement system at the actual time when the Mela would be in progress" said North Central Railway (NCR) spokesperson Gaurav Krishna Bansal. "Our Commercial department set to work on an Artificial Intelligence (AI) based system which was a success and has started working at Allahabad Junction" he said. Besides, the languages mentioned above, work is in progress on automatic translation of Hindi announcements in Telugu, Oriya and Bengali. "In the first phase, this system has started working at Allahabad Junction at the platforms and in the passenger enclosures since January 14. In the second phase, it is planned to extend it to Naini and Allahabad Cheoki stations as well as the Sangam area (Railway Camp) before the second main bathing day on January 21. "The system has already proven its worth and utility by helping non-Hindi-speaking passengers locate their kith and kin on the station amongst the rush," he said. In future, NCR is planning to develop a face to face enquiry system based on artificial intelligence which can be used by non-Hindi-speaking passengers to get answers to their unique queries from personnel manning the enquiry counters of stations, he said. Officials say since the technology is already with the railways, this system can be replicated across the railway network at a later date.